ashington Gov. Jay Inslee gives his annual State of the State speech Tuesday, Jan. 13, 2015, to a joint session of the Washington legislature in Olympia, Wash.
Washington state is at a crossroads, according to Gov. Jay Inslee. 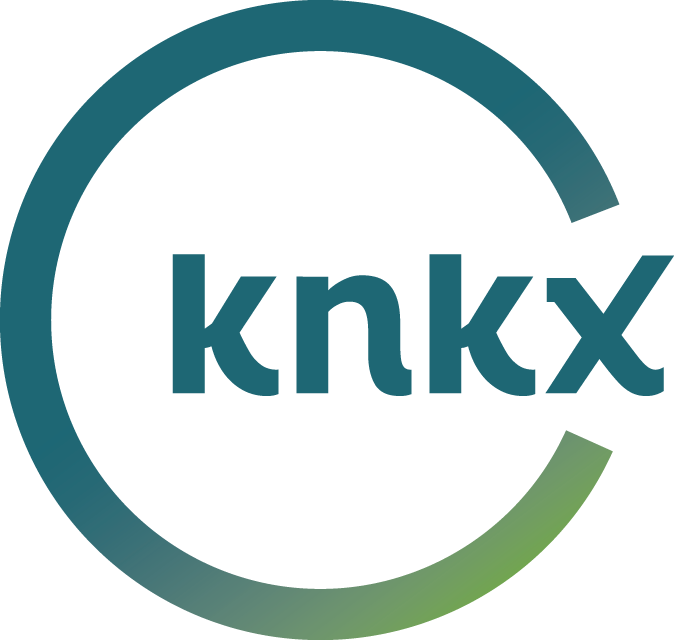 Those were key themes Tuesday as Inslee delivered his State of the State address before a joint session of the state legislature. Before Inslee spoke, Chaplain Joel Johnson of the Oso Fire Department offered an opening prayer. He said the deadly landslide that struck his community last March brought people together. “My hope and my prayer for the rest of the year and for the years to come is that we can continue this sense of unity,” Johnson said. 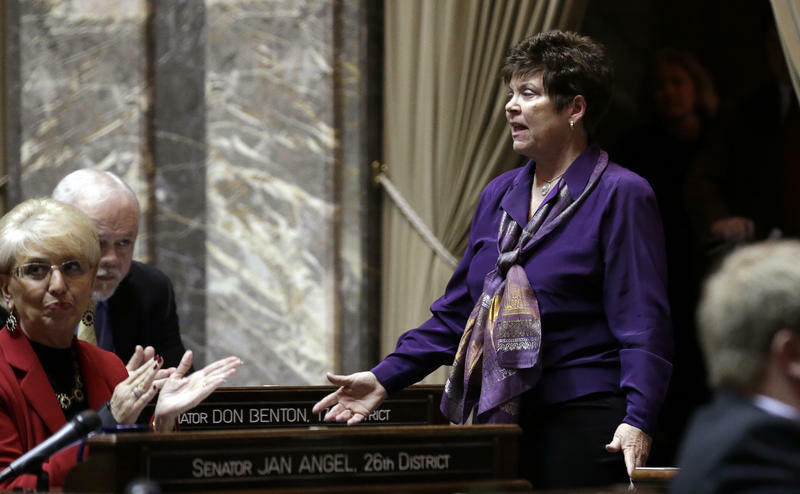 But once Inslee stepped to the microphone, the political disunity in the chamber was apparent. 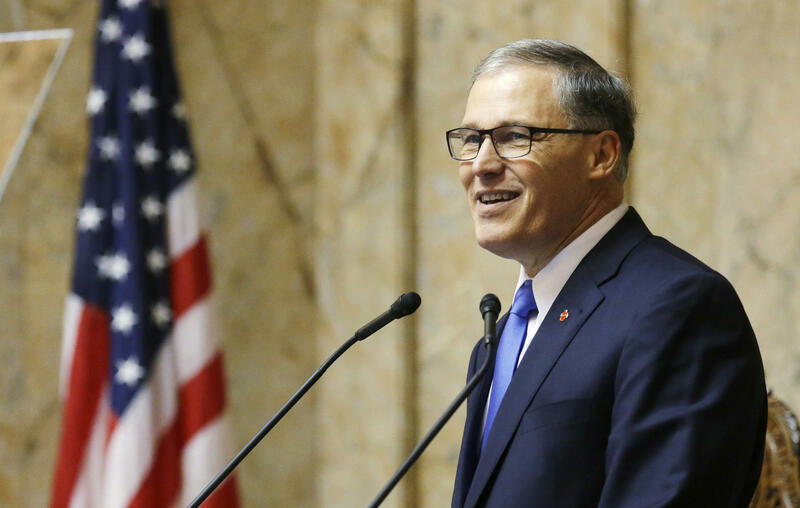 Republicans mostly did not applaud as Inslee called for more funding for early learning, a transportation package and a new fee on carbon emissions to pay for it. He also trumpeted his proposed new capital gains tax. “We can work toward a fairer tax system and we should this session,” the governor said. That line drew a standing ovation from several Democrats. Republicans, in their response, said Inslee’s proposed policies threaten economic recovery. 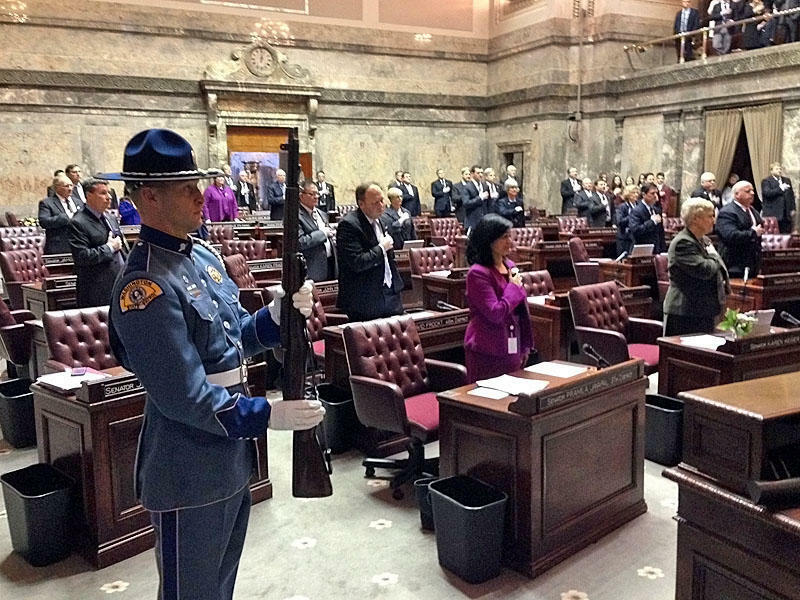 Republicans control the Washington Senate, but Monday’s start of the 2015 session featured a Democratic insurgency. It happened when Republicans tried to re-elect Sen. Tim Sheldon as president pro tem of the Senate. Sheldon is a Democrat who in 2012 joined with Republicans to help them take control of the Washington Senate. 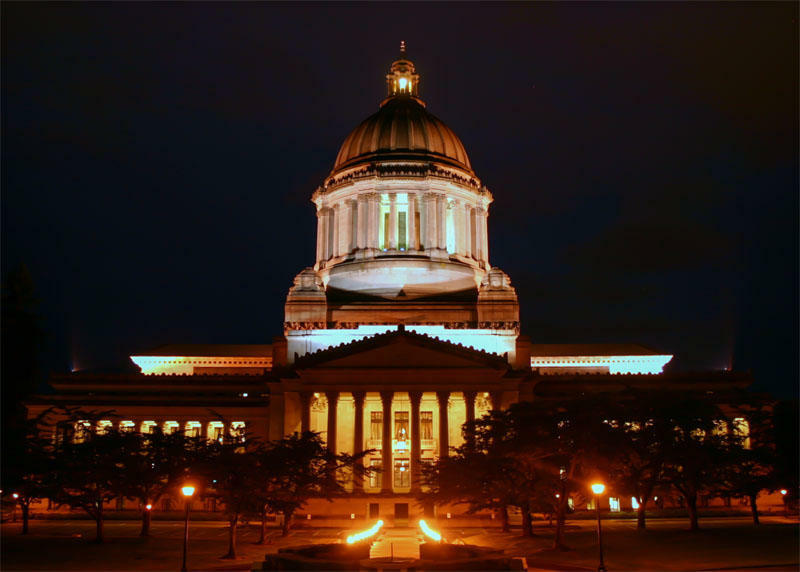 School funding, a roads-and-transit package and medical marijuana are among the hot topics as the Washington legislature convenes Monday. Lawmakers plan to meet for 105 days.